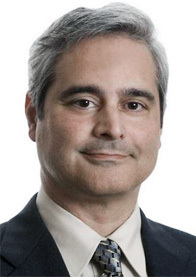 Joe Pasqua – Appointed as Vice President of Neustar Labs. Neustar Inc. today announced the appointment of Joe Pasqua as Vice President of Neustar Labs, a newly created position. Mr. Pasqua was previously chief technology officer of Symantec's $2B Data Center business, and later led that company's global research, producing technologies for a diverse set of security and storage products. As head of Neustar Labs, Mr. Pasqua will be responsible for applied research and open innovation that will enhance Neustar's product portfolio and enable new services. "Joe's energy and expertise enhance Neustar's efforts to bring more precise and actionable insights to our customers through innovative technologies and services," said Mark Bregman, Neustar's senior vice president and chief technology officer. "Joe's experience leading world-class research and development organizations is a perfect fit with Neustar, which has a strong track record creating innovative addressing, routing and authentication services for networks and some of the world's largest authoritative databases." Neustar recently broke new ground with services for the telecommunications, Internet and media industries through its development of TextEverywhere, which allows texting from any device, such as TVs, tablets and laptops; Ultraviolet™, which provides consumers with a digital locker for all of their filmed entertainment; and NeuSentry, a service that detects cyber-breaches, even in companies employing state-of-the-art defenses, by monitoring the outside of an enterprise's network. "It's an honor to lead the newly created Neustar Labs. Neustar's reputation for being trusted and neutral, secure and reliable, and above all tested, means that this is an ideal organization to join at this exciting moment. I look forward to working with a great group of technologists to leverage our unique market position and massive data assets to provide value to our customers," said Pasqua. Mr. Pasqua has been in the technology industry since 1981. In addition to his role at Symantec, he has worked for Xerox, Oracle (where he was employee number 60), Adobe and several start-ups. He has more than 10 issued patents, and additional patents pending. Mr. Pasqua earned simultaneous Bachelor of Science degrees in Computer Science and Mathematics in 1981 from California Polytechnic State University in San Luis Obispo. Local Time: Tuesday, April 23, 2019 09:13 PM PDT – Page Load: 0.2424 Sec.